Obviously, you would have a much better chance of accumulating $1 million or more in savings had you begun saving and planning for retirement 20 or more years ago. But assuming you do actually get started now -- as opposed to merely planning to start -- you still have plenty of time to dramatically improve your retirement prospects. As to whether you can realistically expect to accumulate a seven-figure nest egg by the time you retire, well, that depends on a number of factors, but mostly boils down to how diligently you save and how long you're willing to continue working. Even with very optimistic assumptions, however, I'd say you're most likely looking at a long shot. For example, a 50-year old starting from scratch who earns $80,000 a year, gets 2% annual raises and earns a 6% annual return on investments would have to save 30% of salary each year for the next 20 years to crack the $1 million mark. Saving that large a percentage of salary year in and year out would require a Herculean effort under any circumstances. I think it's fair to say it's even harder to go from saving nothing to 30% virtually overnight. At the risk of sounding Pollyana-ish, however, I don't think you should feel discouraged. Granted, you're probably going to have to make some significant lifestyle changes if you want to ramp up your retirement savings. But there are a number of ways you can put yourself in a much better position to retire than you are now -- and certainly make yourself better off than had you done nothing at all. Any viable catch-up plan has got to start with saving, and in your case, the harder you can push yourself the better. Let's return to that hypothetical 50-year-old I mentioned earlier. If he socks away 15% of salary each year (which is what many retirement experts say you should be saving throughout your career) and earns a 6% annual return on what he saves, he would have just over $320,000 by age 65. If he continues that regimen three more years to 68, the tally jumps to nearly $440,000 and if he keeps working and saving to age 70, his nest egg would total roughly $530,000. Boost the savings rate to 20%, and the respective figures range from roughly $430,000 to just over $700,000. These figures fall short of $1 million, but you're still talking about serious sums of money that can materially enhance your retirement standard of living. Let's not forget that you'll also have other resources to draw on, starting with Social Security. The Financial Engines Social Security calculator estimates that a 50-year-old man like the one described above might qualify for Social Security benefits of $25,100 a year in today's dollars at age 65 and $35,900 if he waits until age 70 to claim. That translates to nearly $550,000 and almost $620,000 respectively in total estimated lifetime benefits (although, of course, you can get this amount as a lump sum). And if you own a home that's worth substantially more than you owe on it, you may be able to convert that equity into spendable cash either by downsizing to smaller, less expensive digs or by taking out a reverse mortgage (or, for that matter, downsizing and keeping the option of doing a reverse mortgage later on). Assuming you're up for it, there's always the possibility of boosting your retirement income by working part-time in retirement. You can check out job listings geared toward older workers and retirees -- and also find advice on how to land such jobs -- at such sites as RetiredBrains.com and RetirementJobs.com. And if you really want to think outside the box, you might also consider relocating to an area with lower living costs, so you can effectively squeeze more spending out of whatever nest egg you do manage to accumulate during your career. To compare the cost of living from one city to another both overall and in categories such as housing, health care, food and transportation, check out Sperling's Best Places Compare Cost of Living calculator. 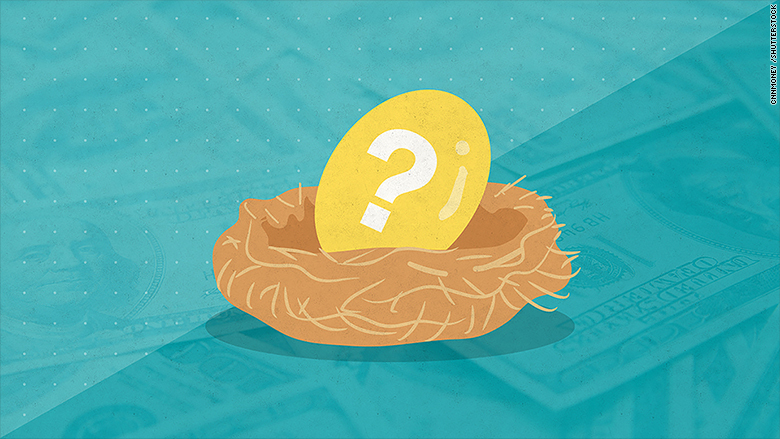 One caveat: while reaching a seven-figure nest egg may be a nice target to aspire to, you need to be careful about getting too hung up on "your number." What really matters is whether you're saving enough so that draws from your nest egg plus Social Security plus income from other resources will give you the spending cash you need for a secure and comfortable retirement. The best way to tell if you're on track to generate the income you'll need is to go to a good retirement income calculator and plug in such information as your salary, savings rate, how much (if anything) you already have saved and when you plan to retire. The calculator will estimate your chances of reaching your goal if you stick to your current regimen. If your estimated success rate is uncomfortably low -- say, below 80% or so -- you can then re-run the analysis to see how saving more, retiring later, working in retirement or making other changes will increase the probability of achieving your goal. By going through this exercise every year or so, you can see whether your plan is working and, if not, what you must change to boost your odds of success. But it's all got to begin with serious saving, the sooner, the better. Because unless you start socking away some significant bucks pronto, all the other moves I mentioned probably won't be enough to allow you to retire in anything close to your current lifestyle. Can Your Retirement Strategy Survive A Market Crash?